The complex boasts a dozen or so units ranging from 2-4 bedrooms. For a larger group, the penthouse is a spectacular property with plenty of room for all. 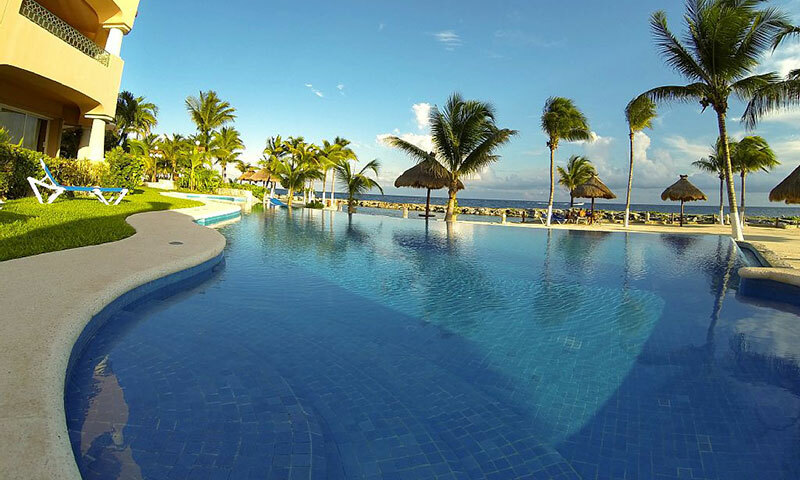 The infinity pool with children's area located ocean front among the lush, landscaped tropical grounds completes the experience here. 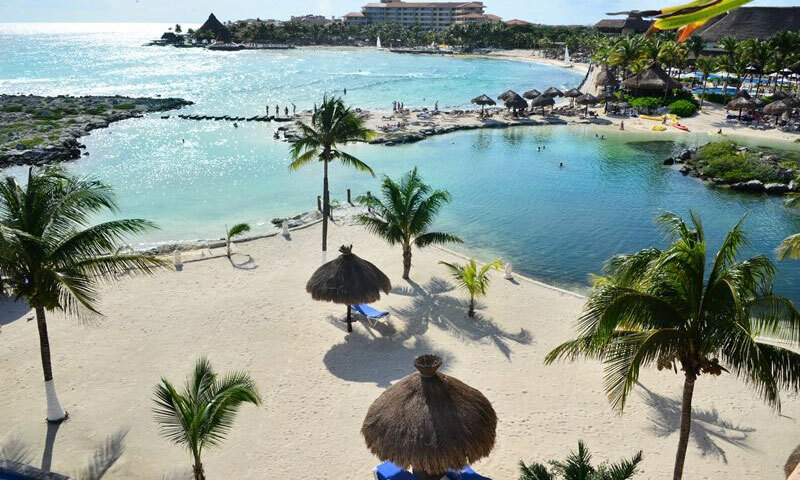 The Centro marina is about a 15 minute walk; bicycles and golf carts are available for daily and weekly rentals if desired. 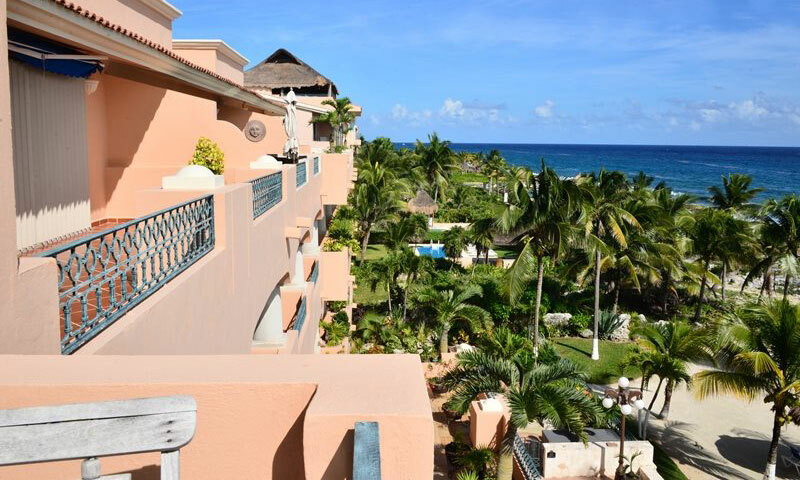 The rental units all have quality furnishings, full kitchens, air conditioning, satellite TV, granite/marble or Mexican tile countertops, domed cupola brick ceilings, and furnished terraces with gorgeous views. Some units have patio Jacuzzis. 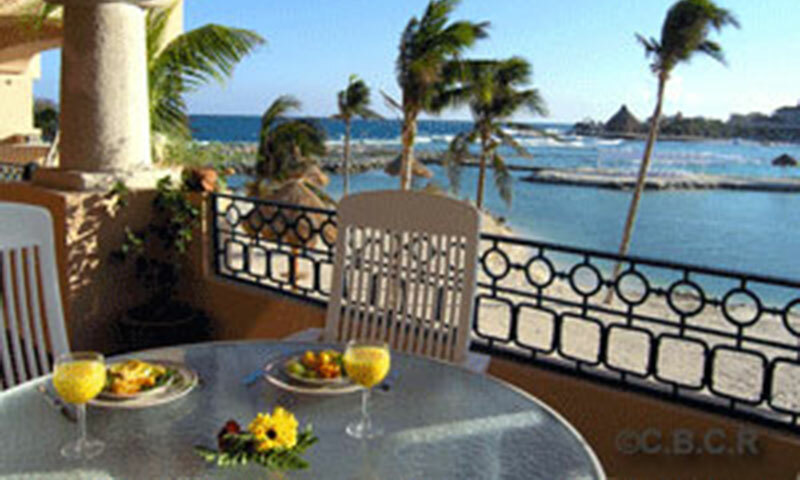 Please browse our offerings to view more detailed information about each vacation home. 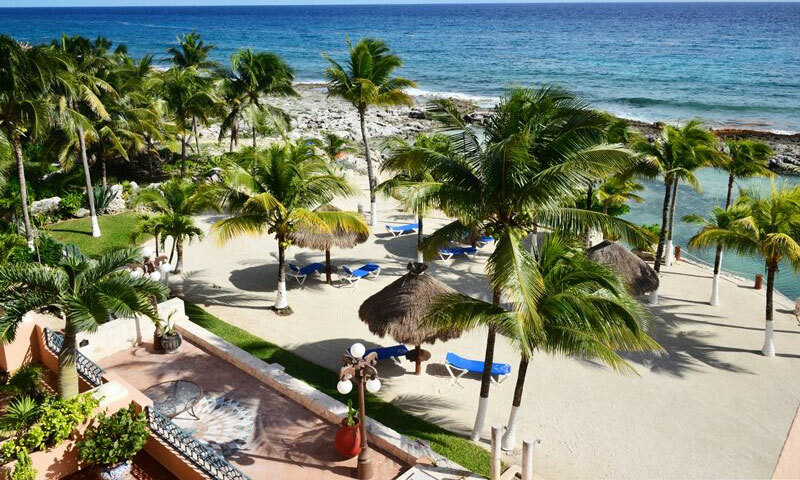 A beautiful and tranquil 2 bedroom, beach front home located in the exclusive Quinta Luna complex, Puerto Aventuras. This beautiful home with its beach and ocean views and privacy terrace will get you into vacation mode right from the start. 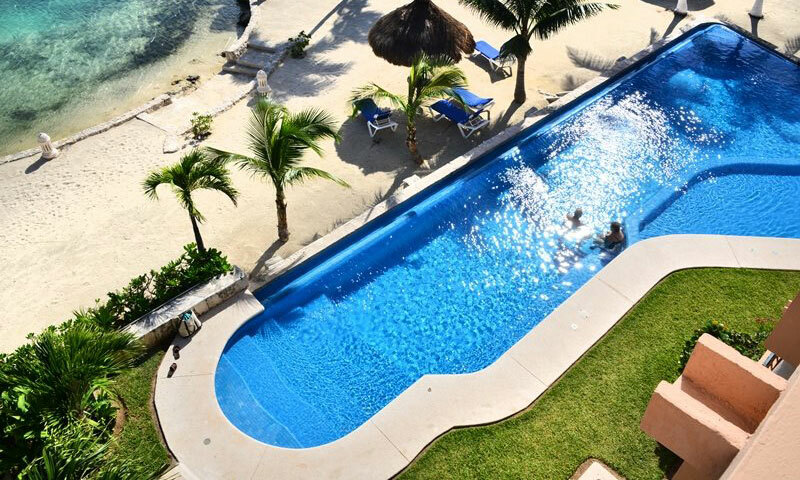 Quinta Luna 304 is a peaceful, beachfront 2 bedroom getaway located in the exclusive complex of Puerto Aventuras. This beautiful home with its beach, ocean views and privacy terrace will get you into vacation mode right from the start. Grab your sunglasses, a few cold beers and take a couple of deep, relaxing breaths. You've landed! 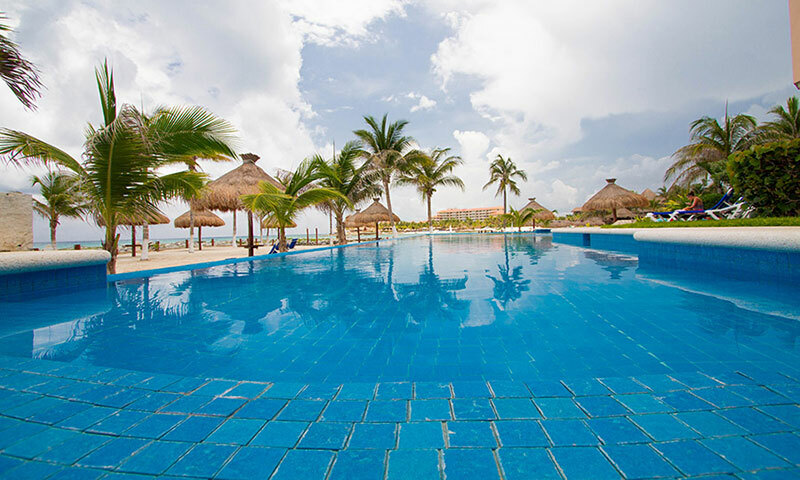 This amazing Master Penthouse Villa, with over 3000 square feet, is reminiscent of an authentic Mayan style. 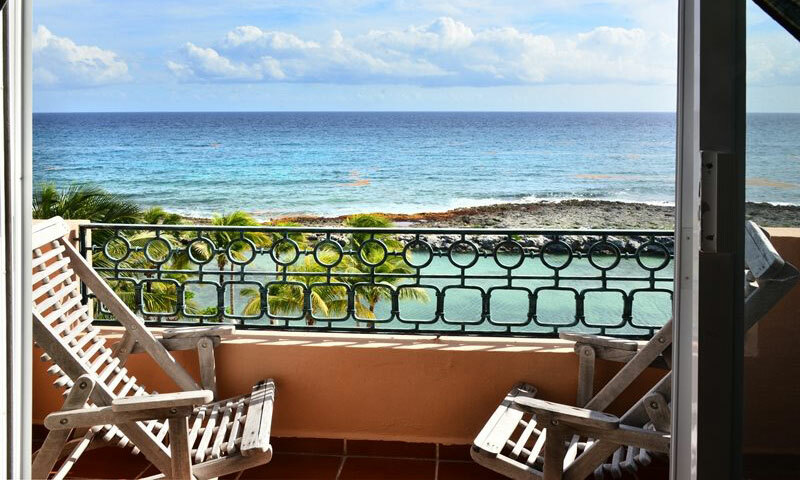 It is situated on the top floor with an incredible wrap around terrace of over 1000 square feet, giving you a view of 180 degrees over the open Caribbean sea and it's private beach of Quinta Luna. Note: This unit can be rented as a 3BR at a discounted rate.